First, make sure you have a rack in the middle of your oven. Then, turn it on to broil. Drain the pasta and, without rinsing it in cold water, immediately add it back to the pot. Stir in the olive oil, pepper flakes, salt, lemon juice, capers, and garbanzo beans. 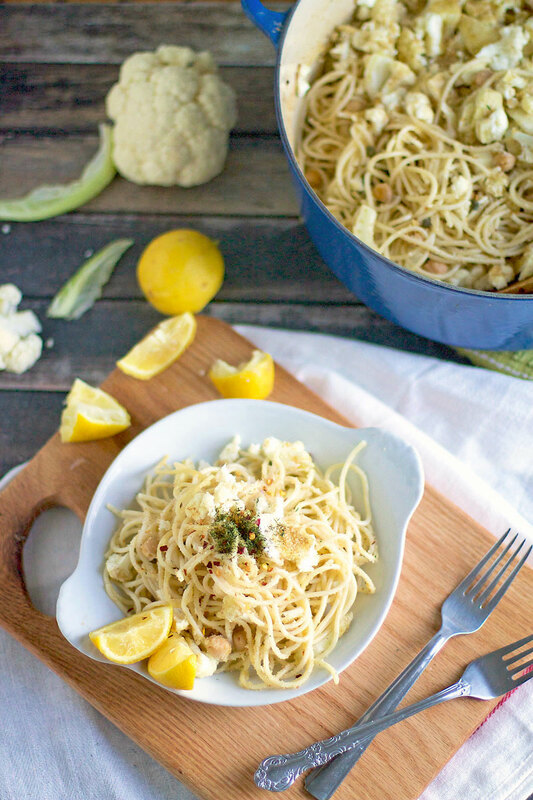 Once everything is well mixed, top the pasta with the fennel and cauliflower pieces. Sprinkle that with the bread crumbs and a dash of salt and pepper and then drizzle the whole thing with olive oil (I probably drizzled on approximately another 2 tablespoons). Finish the top off with the goat cheese crumbles. Place the pot in the oven and broil for about 10 minutes, or until the cheese and veggies have turned a slight golden color. 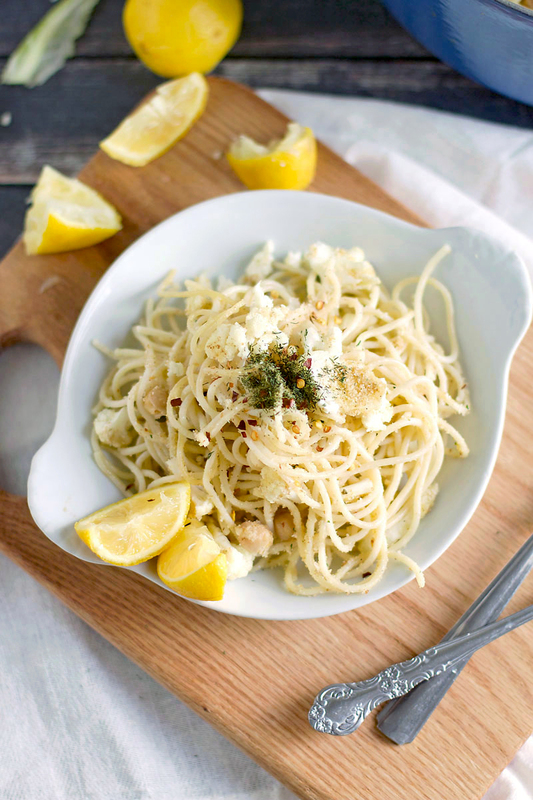 If you'd like, serve the pasta with one, a few, or all (or none) of the following: extra cheese, salt and pepper, a sprinkle of dill, lemon wedges, pepper flakes, or a drizzle of olive oil. Sever with a kale salad, crunchy bread, and a glass of white wine. Store leftovers in an airtight container in the refrigerator for 3-5 days. As with all my recipes, this one is totally customizable. Therefore if you don't like capers, fennel, or garbanzo beans, feel free to either replace them or leave them out completely. In place of the goat cheese try using parmesan cheese, feta cheese, or ricotta cheese, or eliminate the cheese altogether. To make this less zesty/spicy, leave the pepper flakes out. This recipes is vegetarian. To make it gluten-free, eliminate the bread crumbs and use a gluten-free pasta. To make it dairy-free, eliminate the cheese.